St. Patrick’s Day is to Boston what Mardi Gras is to New Orleans: a no-holds-barred, citywide party. But how should you spend said day of reckless Irish (and faux-Irish) enchantment and ballyhoo? 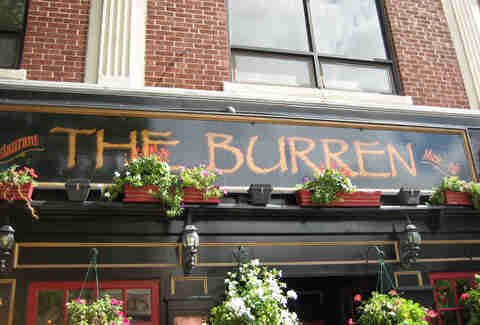 From singing along to Dropkick Murphys at your favorite local spot, reading some Joyce over a quiet pint, or even just quoting Boondock Saints while some chick wearing a “Kiss Me, I’m Irish” bra sprinkles green glitter on all the recently laundered stuff you own, you can’t go wrong with one of these great Irish pubs. 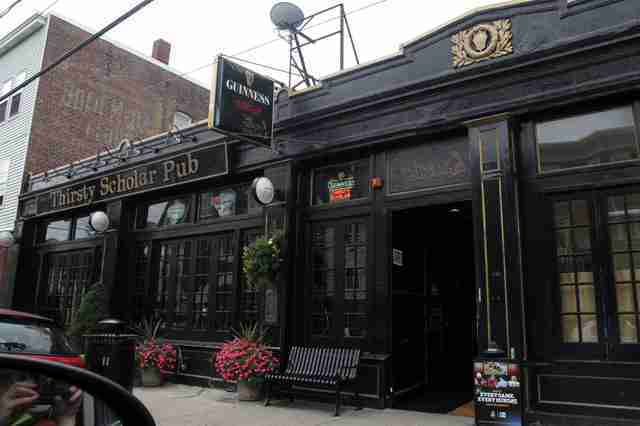 During the week, this dark brick, bookshelf-lined pub is on the quieter end, hosting trivia night and regulars hoping to catch some of whatever game is on. On the weekends, it turns into a party spot, with all 11 TVs on and a low roar reverberating through the room. The hearty pub food is exactly what you might expect, plus a few offbeat options like kale potstickers with mango habanero dipping sauce. Named after an Irish playwright, the Behan is in many ways the bare minimum: It has no kitchen, no TVS, and no fancy cocktails. The bar occasionally hosts live Irish music and local bands, but the best thing about the place is that you can always count on good conversation over a beautiful black Guinness. Just bring your own food. Doyle’s has been around since 1882, and many film crews (Mystic River, Patriots Day), politicians (Ted Kennedy), and St. Paddy’s Day revelers have left their mark on the place. The pub pours Irish imports, microbrews, and the newest releases from nearby Sam Adams brewery. It’s a part of Boston drinking culture you don’t want to miss. Like Doyle’s, this Dorchie hangout is steeped in history. It’s not actually a “gentlemen’s bar,” as it says on the sign, but the patrons are still mostly older guys looking to unwind after work. It’s basically where your grandpa goes to get a $1 hot dog and a dark pint. Actually, more than any other reason, that’s what makes it authentic. 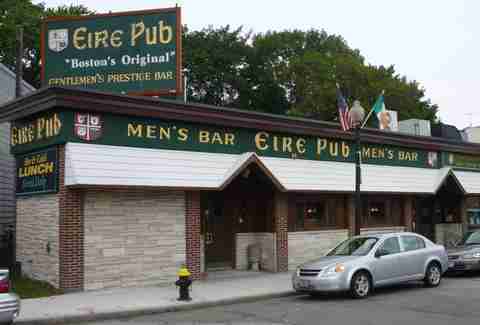 It’s also where President Clinton kind of danced on a bar and where Mark Wahlberg hung out before he got famous. 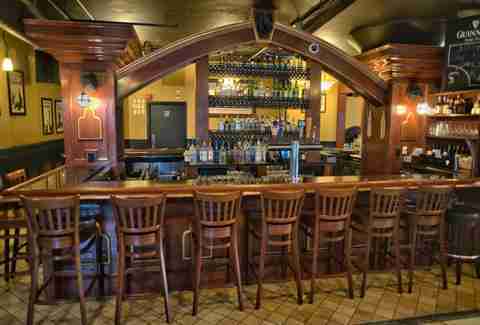 Another ancient Bostonian institution, Foley’s has a Downtown location in addition to the 1909 South End original. It’s a pretty chill spot that doesn’t have any one particular kind of patron: Everybody goes there, or has been there, or will go there eventually. Guinness is the first thing on the beer list and is what 90% of people order, but there are also a couple more Irish beers and a small selection from East Coast breweries, perfect to wash down your Foley Fireballs (aka deep-fried macaroni with spicy cheese sauce and ranch dip). There’s also corned beef and Irish pudding on the regular. More raucous than traditional, Phoenix Landing is where you go to watch the game (any game) or kill some time before heading to the club. The happy hour food is a great deal, and the sports bar/dance club vibe makes it one of the most popular pubs in town. If you’re willing to brave the line, you can snag a seat on the patio in the summertime or relax with one of many excellent drafts. St. Paddy’s Day here is guaranteed to be a line-out-the-door, high-energy, Murphys-sing-along experience (minus the awful green beer). So break out your shamrock sunglasses and prepare for a crazy good time. This super-old-school pub is chock-full of patriotic Irish swag and features live music every single night. The food is on the pricier side, but it’s worth it to sit by a fireplace and devour some Guinness beef stew while your friends misguidedly sing “Sweet Caroline” for the 18th time. Besides, you can always drag them back in the morning for an Irish breakfast. This, the most hipster of Boston’s Irish pubs, goes way beyond Guinness. The extensive selection of tap beers and cask ales are each served in their own very specific glasses, which means everyone can tell what you’re drinking and thus judge you for it. (No, we’re kidding: They’re actually watching the game -- and that could literally be anything from the Pats to Australian rugby.) This place has something different every day: 25-cent wings on Mondays, Trivia Tuesdays, and Fish and Chips Fridays. Try the short rib poutine, wicked chili, or the Death Wish burger for pub food that’s a little different than what you’re used to. 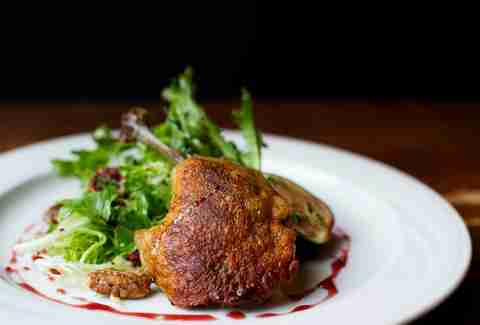 A crowd favorite for its Irish staff -- all from County Clare -- The Druid is one of Boston’s best spots every weekend. It’s often home to local barflies, but with a friendly and hospitable vibe. Made with crispy cod and house-made fries, the fish & chips are a must-order and served the traditional way: wrapped in newspaper. On St. Patrick’s Day, the bar blows up faster than you can say “Kiss Me, I’m Irish” -- so get there early. Most pubs stick to beef stew and fish & chips, but Squealing Pig has made a name for itself by branching out. The seasonal Cape Cod fish fry, various curries, and organic pig burger with Gorgonzola are just some of the things you should try, along with a pint from the specially curated draft list. It’s not exactly a traditional place, but it’s definitely a great one if you want to grab a bite and hang out. At nearly 20 years old, Grafton definitely holds its own against the Hub’s other establishments. It’s just a stone’s throw from The Wrong Kong but, thankfully, couldn’t be more different. 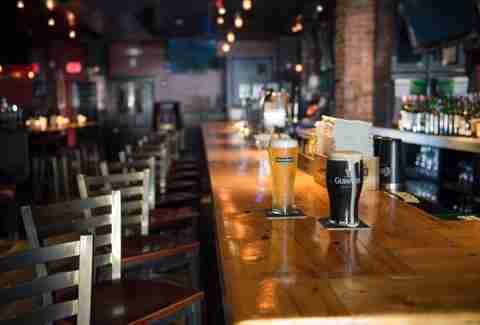 Named after a cobblestoned street in Dublin’s famous Temple Bar area, Grafton is a really modern pub that gets its Irish chops largely from its bartender, Emerald Isle native Paul Barry. He claims to pour the “perfect pint” of Guinness and has put together a pretty robust menu of Irish whiskeys. This, in addition to a rather appealing cocktail list, makes Grafton a popular hangout among local 20-somethings and the theater-going weekend crowd. 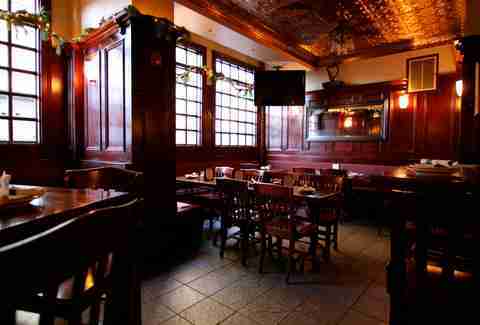 Dooley’s has long been known as Downtown Boston’s go-to destination for Irish-Americans and Irish appreciators alike. Friendly bartenders sling jokes, pour the finest beer, and offer up the best in Protestant and Catholic whiskeys. 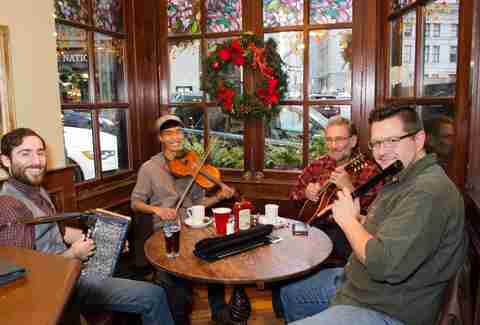 The bar opens early every day (11:30am on weekdays, 9am on weekends) and hosts traditional Irish music nights. There aren’t any TVs, so don’t come here expecting to watch a game -- come for the comforting sounds of fiddle, flutes, and accordion instead. Walking into The Field immediately transports you back to the Emerald Isle. The walls are adorned with memorabilia, from framed football jerseys and Irish street signs to a hefty photo collection. 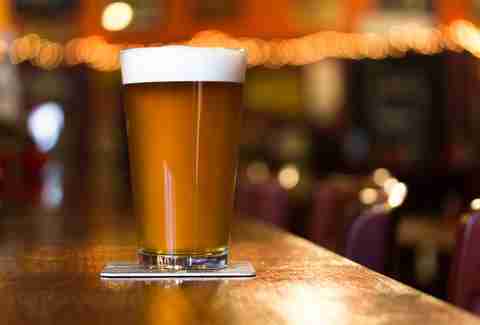 Expat bartenders work the taps and serve traditional pub grub like fish & chips, corned beef sandwiches, and haddock. There’s a great semi-secret patio outside when the weather is warm, but the real attraction is the back-room nook, featuring a pool table and a couple dartboards. Emmetts is a prime after-work spot for State House employees and anyone who wants to engage in two of Irish Boston’s most historic hobbies -- politics and drinking. 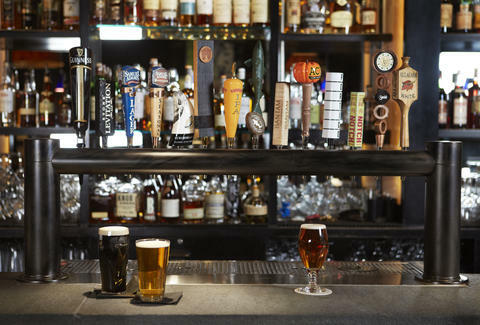 Just a block from Boston Common and a quick detour from the historic Freedom Trail, it’s often filled with out-of-towners seeking a libation to break up their city walkabout. With traditional Irish brunch served on weekends and a live music setting the scene right after, you’re sure to get a mouthful and earful from the old country. If you’re looking to watch football (soccer) or rugby among locals, this is your spot. A local meeting place steeped in Irish heritage with the added intrigue of being a bustling sports bar, The Banshee is an exciting spot to cheer on your favorite European teams and down a few pints. Kim Prosise is a Boston-based travel and lifestyle writer who is Irish enough to know what she's talking about. Follow her on Twitter at @kimprosise. Nolan Gawron writes for Thrillist.